Morzine is the largest of the dozen or so resorts that make up the world-famous Portes du Soleil ski area straddling the French-Swiss border. 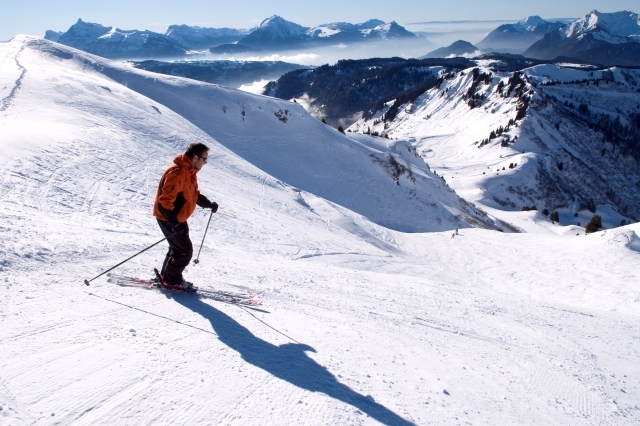 Although only loosely connected (via Avoriaz) to the main Portes du Soleil circuit, it has its own sizeable ski area shared with nearby Les Gets. 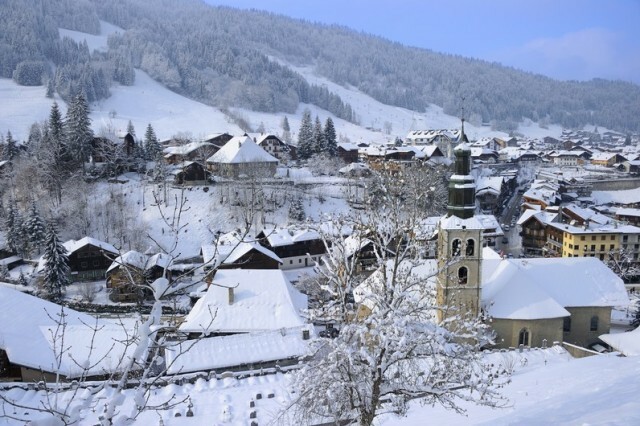 Little more than one hour from Geneva airport, Morzine is lively by French standards, with a good variety of nightlife and lots to interest non-skiers. Morzine’s local slopes are shared with Les Gets forming an extensive and very scenic area of wooded slopes best suited to intermediates. 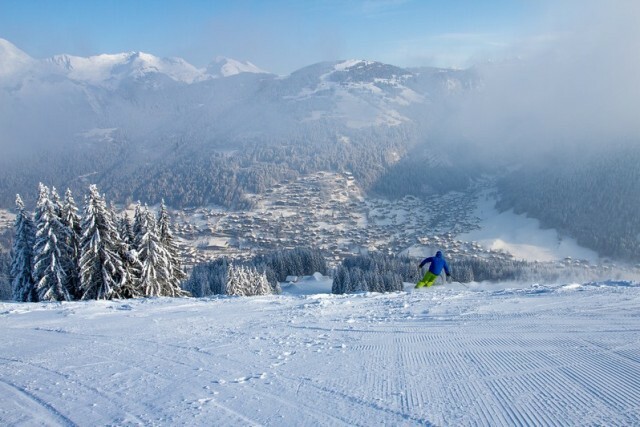 There is tougher terrain dotted around, notably on the more open pistes of Nyon-Chamossière as well as in nearby Avoriaz, gateway to the main Portes du Soleil circuit. Indeed the Portes du Soleil is one of the world’s biggest winter playgrounds, offering an endless choice of runs for all levels of skier. Morzine also caters well for beginners with extensive valley level nursery slopes and plenty of long easy runs to progress to. 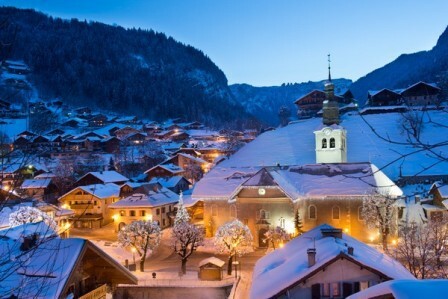 Morzine is an attractive town-sized resort in a pretty wooded setting little more than an hour from Geneva. There is an old village, but most of the action takes place up the hill between the central square and the new Pleney gondola station where you will find numerous shops, bars and restaurants. 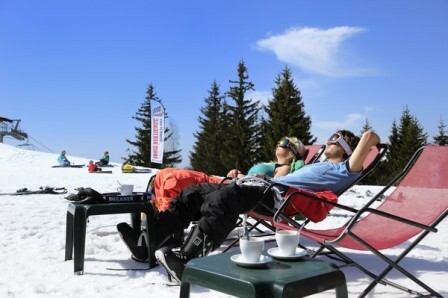 Morzine has a lively après-ski scene to suit most tastes and pockets. Non-skiers are also well catered for with pedestrian-friendly ski lifts and lots of winter walking. 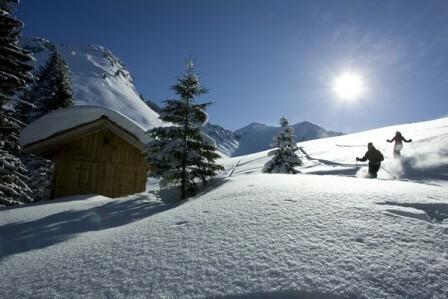 Morzine is located in the Haute-Savoie region of the northern French Alps. Guide prices are based on a departure in low season and include flights, private transfers and 3 or 7 nights accommodation on either a *B&B or **half board basis.